Dingo's Better Belly rawhides are apparently what I buy when I'm in a hurry and don't take the time to read the package. I had no idea that these were from Dingo Brand until I looked them up online. I have never purchased a Dingo rawhide product before, because the vast majority of their products are made in China. The rest are made in Vietnam or Cambodia. Knowing what I know about rawhide production, I am pretty wildly uncomfortable about feeding beefhide products produced in countries that don't also produce a bunch of beefhide. These are made in Vietnam, probably from USA-sourced hide that must be preserved and treated because shipping makes them yucky. 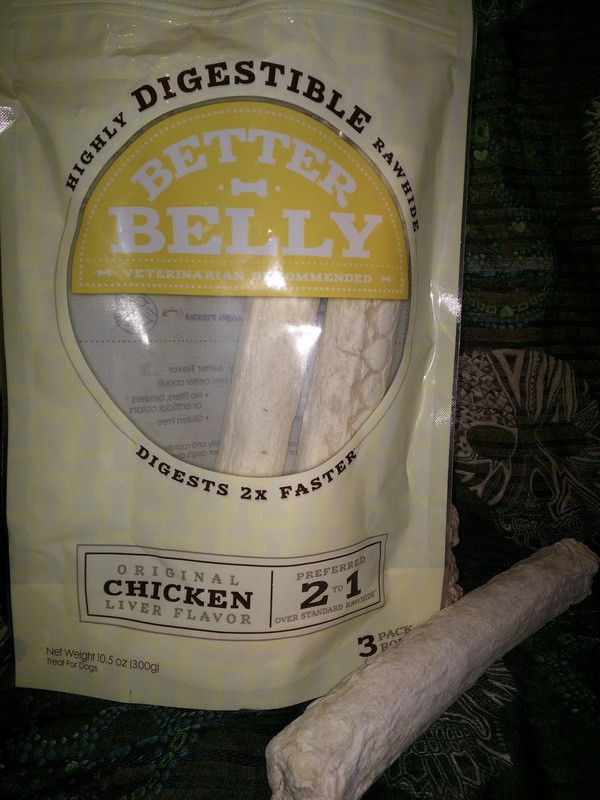 Like Digest-eeze rawhides, these are treated with something that makes them break down and digest much faster than regular rawhide. I am mildly embarrassed to have purchased these. I thought they were a rawhide alternative like SmartBones. Oops. Thank you for your input! I, too, was fooled by Dingo Brand!